Opening Times: Open Daily: 10am - 6pm. 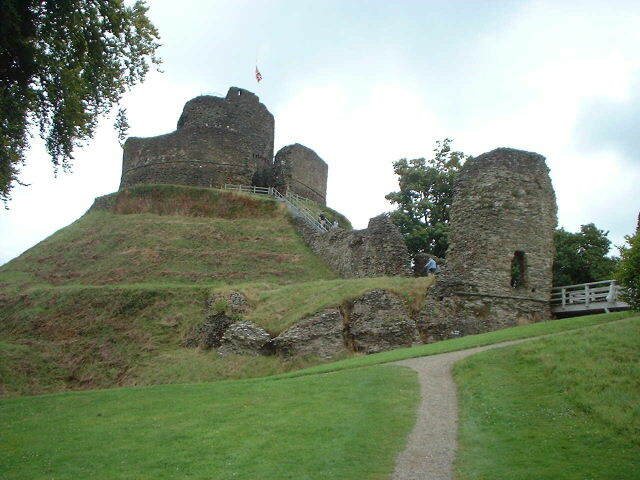 Notes: The castle is a Norman motte and bailey castle raised by Robert, Count of Mortain, half-brother of William the Conqueror shortly after the Norman conquest, possibly as early as 1067. Others attribute its foundation to Brian of Brittany though he only stayed in England for about five years after the Conquest. It became the administrative headquarters for the powerful Earls of Cornwall where they could control the vast estates that they owned throughout the area. The castle remained with little development, apart from an inner keep added in the 12th century. During the 13th century, Richard, Earl of Cornwall, a younger brother of Henry III began to rebuild the castle in stone.